MacKay & Berube PLLC represents individuals in a wide range of cases that threaten their driving privileges. Our Poughkeepsie driver’s license revocations attorneys have more than 45 years of combined legal experience to deliver swift results in criminal defense matters that threaten individuals’ lives with long-lasting consequences. What Kinds Of Consequences Can I Face In New York Drunk Driving Cases? 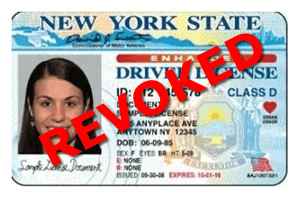 Will I Face Driver’s License Sanctions In My Home State? Drunk driving laws in Massachusetts, New Jersey, Connecticut, New York and other states are all highly nuanced and complicated. Some states have reciprocity with New York, meaning if you receive a DWI in New York, you could still face consequences in your home state. You do not want to plea blindly in these cases. If you are charged with a drunk driving offense, you need skillful legal representation to combat such serious consequences, so make sure to contact an experienced lawyer who has proven results in these cases. Our firm also represents students at Marist College, Vassar College and The Culinary Institute of America who are dealing with driver’s license revocation and sanction issues.